Who can refuse a good cuppa especially now that the weather is cooling down. This shop seemed like a good choice for this autumn/ winter but actually when I think about it, this is a place which is perfect for popping into all year round. T2 has been around for some 20 years. I only just found out about them, but the first time I came across them, almost by accident I loved what I saw, so decided to make a point of going back and exploring it some more and I was not disappointed. Firstly I would say this is a shop that sets the mood, depending on what they see happening outside. 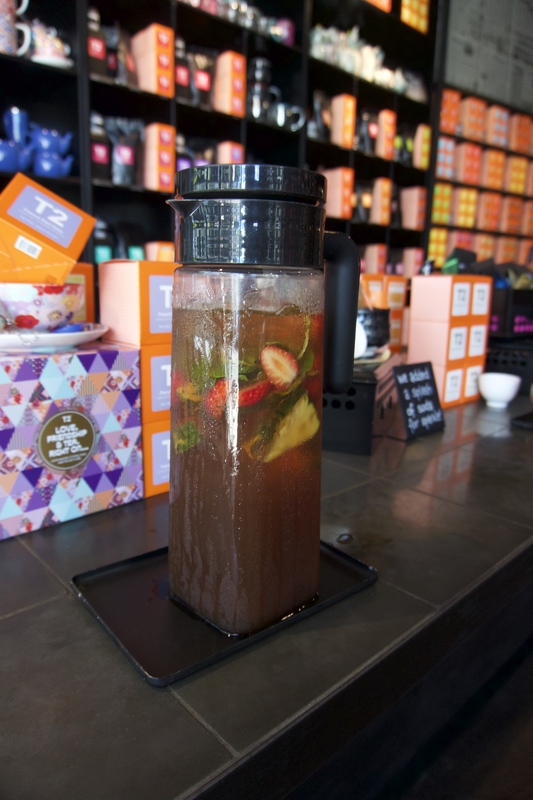 If the weather is hot, there will be a jug of the most delicious fruity mix, nicely chilled, that you can sip as you wander round. If there is a little chill in the air there might be a blend of chai or something with cinnamon which will be warming and comforting. The T2 Tea shops started in 1996 in Melbourne - at the time they were keen to see whether they could attract shoppers with some eclectic teas and Chinese newspapers on the wall for decoration. A second store opened in 1999. 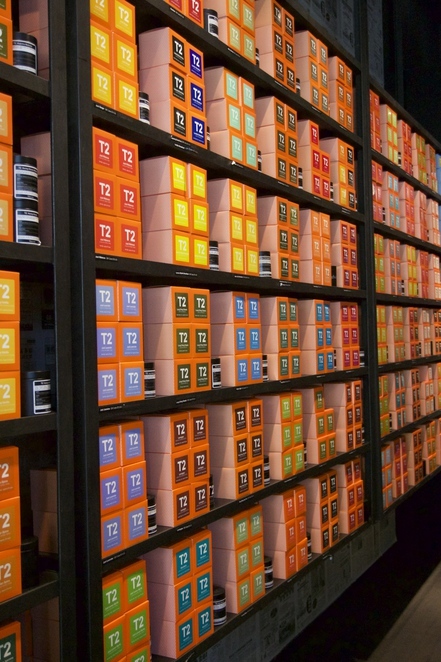 They continued expanding but also exploring tea and in 2005 they launched the T2 website. 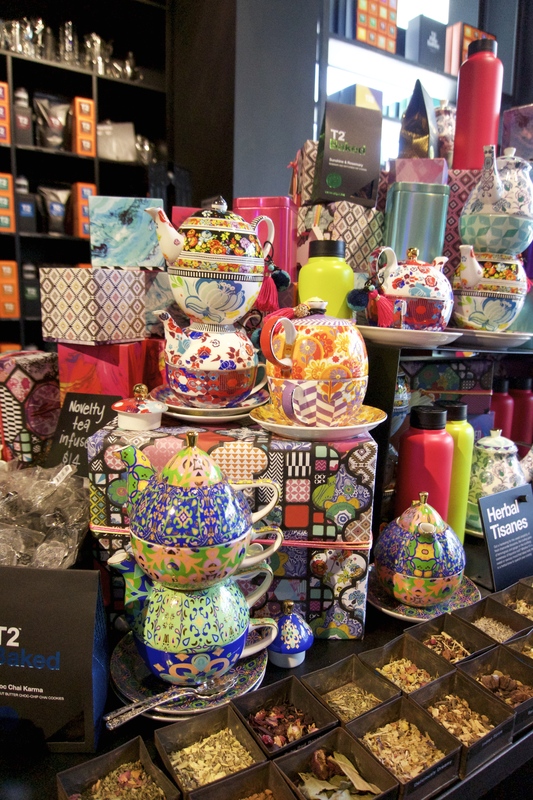 In 2015 they went across the pond and opened shops in different cities to meet the rising demand for good and exceptional teas. They have been in Brisbane at 226 Queen St and 2/50 James St for a couple of years. I visited the one in James St. Next time you are in the area pop in for a browse. The shop is actually beautifully organised and will appeal to tidy minds and tea drinkers. There is a library — yes, a tea library — where the teas are organised alphabetically. 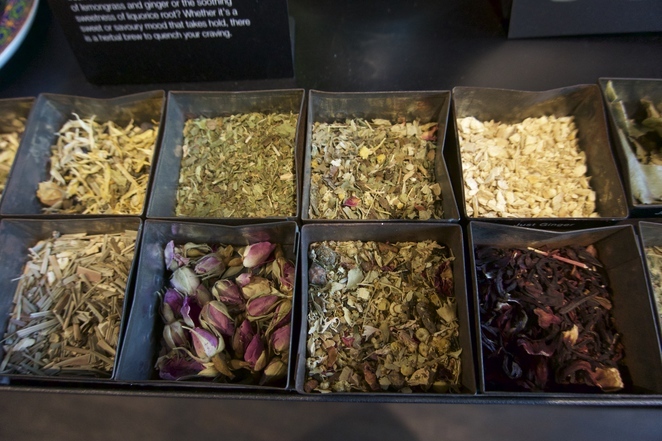 Then as you move further into the shop you come across the herbal teas, the traditional varieties and the fruit varieties. They have a good range of certified organic teas, green and white teas and on the back wall you will also find their rare tea section which is well worth looking through. They have an extensive range of black tea and to satisfy the needs of those in a hurry they even have teabags of 14 different varieties. The majority of the tea sold here is leaf tea. The staff, who are well trained and very knowledgeable, can guide you in finding the perfect blend or the spices which will appeal to your palate. There is even a tea society which holds tea drinking events where different and new teas are sampled. So whether you are in a mood to celebrate, meditate or gossip there is something here for you in the nicest possible packaging or the prettiest colours. Their range of tea pots in exceptionally bright designs are likely to fit in with someone's ambitious colour scheme and be totally gorgeous to look at and enjoy. You can also find all kinds of tea wares from spoons to strainers, kettles and flasks. It is a shop that invites you in with its attractive warm colours and decor and makes you slow down just a little bit to savour all that is around. After all that is what a good cup of tea is all about, putting your feet up, letting it brew and enjoying the moment. When: See website for opening hours.